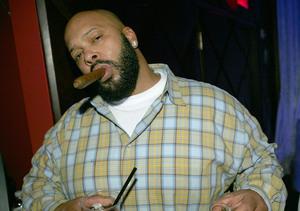 Shots were fired inside a pre-Video Music Awards party in West Hollywood, hosted by Chris Brown and singer Pia Mia, and rap mogul Suge Knight was reportedly one of the victims hit by the gunfire. The altercation happened early Sunday morning at the 1OAK nightclub, and TMZ reports Knight was shot six times. Two other unidentified people were also wounded. Eyewitnesses said Knight walked out of the club, sat in a police car and then was rushed to the hospital, where he underwent surgery and was placed in ICU. Knight and the other victims are expected to recover. Some of the other partygoers tweeted their accounts, with several saying the shots were meant for Chris Brown and fellow attendee Justin Bieber. Chloe Lloyd, an "Australia's Next Top Model" finalist, tweeted, "Me and @MOANNN sort (sic) refuge in a toilet cubicle as rifles targeted Chris brown & bieber outside. #usa," adding, "Yeh mate you can't drink when you're 21 but own a gun and do drugs at 18 please. #usapolitics #joke." Brown also tweeted Sunday morning, "It's disappointing that we as a society can't have fun or enjoy ourselves without any altercations sometimes. Miss me with the bulls**t!!!"